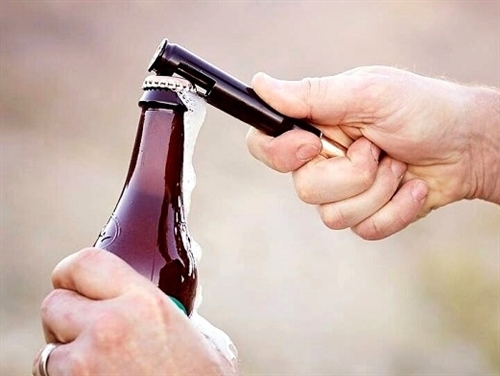 As you may have seen on "Shark Tank", this clever idea born out of the military mind is a perfect utility gift for beer lovers! Authentic recycled once fired decommissioned .50 caliber ammunition brass. The Vintage Breacher is an un-polished version of the Bottle Breacher. Perfect for Father's Day, Wedding Anniversary, Groomsmen Gifts, Graduation & Stocking Stuffers! 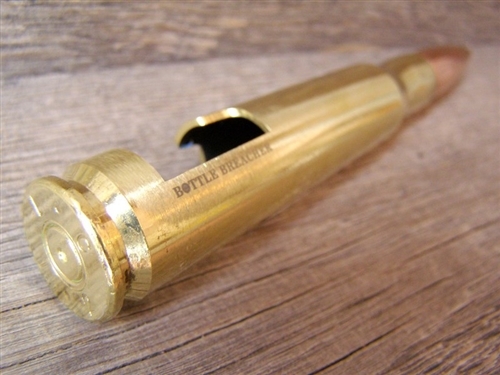 Whether used for decorative display, at special events, or as your everyday bottle opener; Bottle Breacher is sure to impress your friends and get people talking. 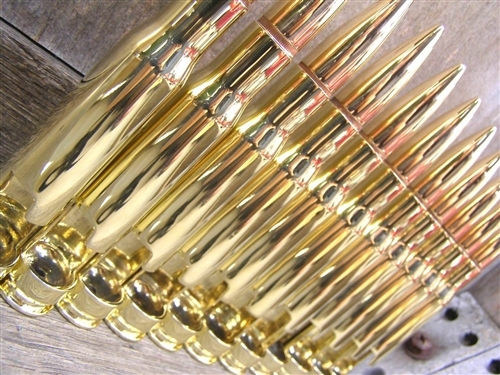 - Decommissioned .50 caliber ammunition can ship anywhere by any means.